The Armenian Genocide, though not given such prominent treatment as the Jewish Holocaust which it precedes, still haunts the Western world and has assumed a new significance in the light of "ethnic cleansing" in Bosnia and, more recently, Darfur. 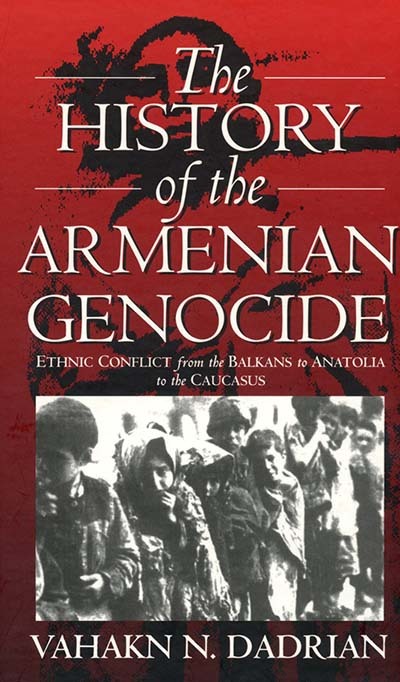 This study by the most distinguished scholar of the Armenian tragedy offers an authoritative analysis by presenting it as a case study of genocide and by seeing it as an historical process in which a domestic conflict escalated and was finally consumed by global war. Vahakn N. Dadrian was director of a large Genocide Study Project sponsored by the National Science Foundation and the H. F. Guggenheim Foundation. He is also author of Warrant for Genocide: Key Elements in the Turko-Armenian Conflict (Transaction 1999) and co-author with Taner Akçam of Judgment at Istanbul: The Armenian Genocide Trials (Berghahn, 2011). In 2005, he received four separate awards for his lifetime contribution to genocide studies. Vahakn Dadrian, who taught at the State University of New York (SUNY) system (1970-1991), has been Director of Genocide Research at the Zoryan Institute since 1999.